We’d love your help. 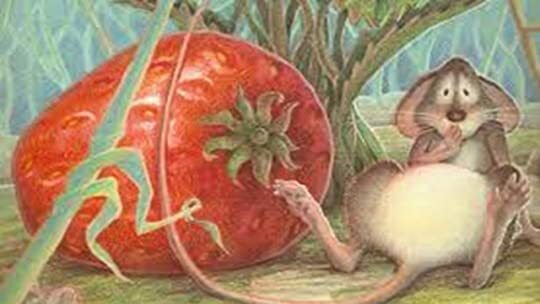 Let us know what’s wrong with this preview of The Little Mouse, the Red Ripe Strawberry, and the Big Hungry Bear by Don Wood. The Little Mouse and the Big Hungry Bear are known and loved by millions of children around the world. Little Mouse loves strawberries, but so does the bear... How will Little Mouse stop the bear from eating his freshly picked, red, ripe strawberry. 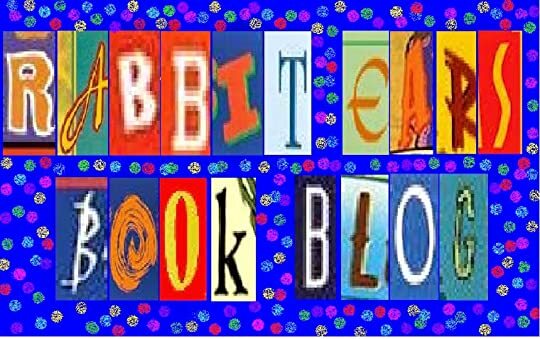 To ask other readers questions about The Little Mouse, the Red Ripe Strawberry, and the Big Hungry Bear, please sign up. Isn't it unfair that the mouse and bear each get half? The bear is hungry and more than 10 times the size of the mouse. 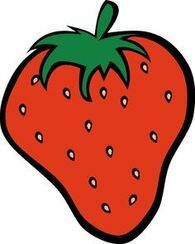 In my opinion the bear should get closer to three-fourths of the strawberry. The back of the book suggests that the narrator is a sly fox. Some people in our house seem to think the bear is the narrator trying to trick the mouse. What do others think? This was my favorite picture book as a kid that my grandma used to read to me every time I went to visit her in California, and after years of asking for it, my grandma let me keep the book. I reread it and basked in its glory, reliving how much I loved hearing my grandma read it to me. It's cute and sweet and iuhsfjlkrjfhudijiosd childhood, dudes. i miss it. I loved this book so much, it was definitely one of my most favorites as a child :) I wanted it read to me over and over again. Being an adult now, I love that I can read all my favorites to my little niece and still appreciate them just as much as I did back then. I just loved the little Mouse so much! There is something so undeniably charming about it. It's a great read-aloud book, the narrator is always talking directly to the little mouse and the humor is just perfect! The Little Mouse, the Red Ripe Strawberry, and the Big Hungry Bear is an extremely adorable picture book, with very vivid bold colorful illustrations that really catches the eye. An unseen narrator terrifies a not-so-bright mouse with warnings of a huge, strawberry-craving bear until the mouse is tricked into sharing the fruit with the narrator. I thought this was a little too mean -- the mouse is really terrified! He is running around in a panic with fear-sweat pouring off him. I guess we are supposed to laugh at what a sucker the little rodent is? I didn't have this one as a kid so I can't say if I would have thought it was funny then. Or maybe it is supposed to open a An unseen narrator terrifies a not-so-bright mouse with warnings of a huge, strawberry-craving bear until the mouse is tricked into sharing the fruit with the narrator. I thought this was a little too mean -- the mouse is really terrified! He is running around in a panic with fear-sweat pouring off him. I guess we are supposed to laugh at what a sucker the little rodent is? I didn't have this one as a kid so I can't say if I would have thought it was funny then. Or maybe it is supposed to open a discussion about trust or something? This is a very cute little book. Vivid illustrations, simple but fun storyline. It is the only book that my nine-month-old and two-year-old both really love right now. My older child can recite the whole thing and my younger child finds the "BOOM BOOM BOOM" part to be hilarious. I think that they would both give it five stars! Although I have enjoyed reading it, I would have to give it a lesser rating, and here's why. At an age when she is learning the nuances of seemingly everything and is absor This is a very cute little book. Vivid illustrations, simple but fun storyline. It is the only book that my nine-month-old and two-year-old both really love right now. My older child can recite the whole thing and my younger child finds the "BOOM BOOM BOOM" part to be hilarious. I think that they would both give it five stars! Although I have enjoyed reading it, I would have to give it a lesser rating, and here's why. At an age when she is learning the nuances of seemingly everything and is absorbing every ideology that we put in front of her, I feel that this book is not the best model for my toddler to learn from. The basis of the storyline is fear and deception. It's cute, but it's still fear and deception. 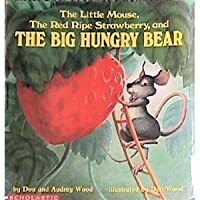 The whole premise of the book is that the narrator is warning the mouse that the big hungry bear is coming to eat the mouse's strawberry... so the mouse should share it with the narrator! It's cute and happy, but ultimately it seems that there really isn't a big hungry bear... there is just a hungry narrator wanting a share of the mouse's food, and choosing not to go about getting it honestly. Okay. WHY is this book so gosh-darn-cute!? It is SO simple. But there is something undeniably charming about Wood & Wood--the story just zips along, goes SO perfectly with the illustrations--it is a great read-aloud as the narrator is always talking directly to the little mouse. Now, I have been reading Audrey and Don Wood’s works for many years, especially many of their earlier works including “The Napping House,” “Heckedy Peg” and “King Bidgood’s in the Bathtub.” So, imagine my delight when I finally got around to one of their most highly praised books that I never had the chance to read when I was little called “The Little Mouse, the Red Ripe Strawberry, and the Big Hungry Bear” and I was pleasantly surprised by the results! What does the narrator suggest? I must say that I was quite impressed with Don Wood and Audrey Wood’s collaboration on this book! I loved the fact that Don and Audrey Wood allows you (the narrator) to interact with the mouse character in this book and warn him about the hungry bear that might come and eat its strawberry. 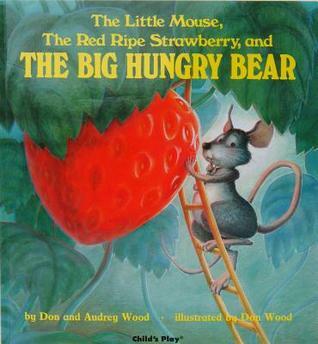 Don and Audrey Wood did a fantastic job at making the narrative creative and suspenseful at the same time as we also worry about how the mouse will save its strawberry from the big hungry bear while in a way encouraging the mouse to find clever ways to hide the strawberry. 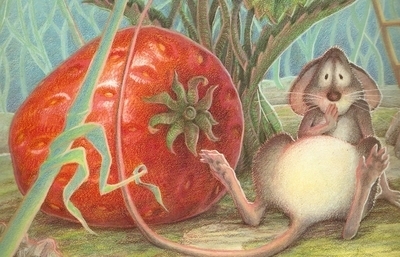 Don Wood’s artwork is simply amazing and beautiful to look at as the mouse looks incredibly cute with its black beady eyes and its extremely long tail and I loved seeing the images where the mouse tries to find different ways to protect its strawberry, such as digging it in the ground and putting a disguise on the strawberry. I also loved the way that Don Wood drew the lush environment that the mouse lives in and you can see various weeds surrounding the mouse which gives the environment an exotic flair. Overall, “The Little Mouse, the Red Ripe Strawberry and the Big Hungry Bear” is a truly cute story about trickery and suspense that children who are fans of Don and Audrey Wood’s works will get a kick out of! I would recommend this book to children ages five and up since the narrator purposely scaring the mouse would send mixed messages to small children. A welcome exception from the sheer awfulness of the books DS#1 (age 7) is given as first grade take-home reading. 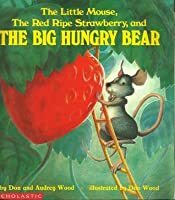 A little mouse finds a red ripe strawberry, and is warned by the narrator that "The big, hungry bear can smell a red, ripe strawberry a mile away..." What can be done? The illustrations are excellent -- really a joy -- and their humor is much appreciated by kids. 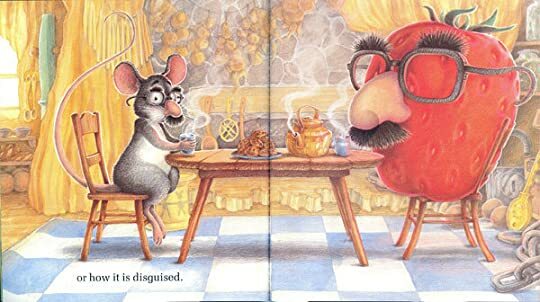 The mouse trying to disguise the strawberry (with Groucho glasses) is a hoot. I suspect, along with most adult readers, tha A welcome exception from the sheer awfulness of the books DS#1 (age 7) is given as first grade take-home reading. I suspect, along with most adult readers, that the narrator is trying to (view spoiler)[frighten the mouse into sharing the strawberry with him (hide spoiler)] but my 7, 5, and 2 year-olds are completely immune to subtext and take everything at face value. So there's that. This is a fun, reader interaction sort of story. It's one that can be read with a lot of dramatic voice exaggeration. Trust me, this picture book will only get better the more you read it! Despite the fact that I KNOW I had a copy for my second graders, I've never read this book. And it is cute, cute, cute! A mouse finds a delicious red strawberry. The narrator warns the mouse that bears loooove strawberries and are sure to find it, no matter what you do. Finally, the mouse and the narrator share the strawberry and all's well that ends well. A beautifully illustrated picture book. A wonderful bedtime book and a great choice for preschool students. A solid level 1 reading book for children that all ages can enjoy. A cute story that had all three of my children engaged and wondering how it would end. The illustrations are beautiful, big, and colorful, which made it a particular enjoyment for me too. A good family read that I can see us reading again in the future. I think the narrator is taking advantage of the mouse's generosity with scare tactics. My favorite page is the one with the disguises. This is the first book I ever really loved and read it (or well, had my mom read it to me) over 100 times. I still know the words to this book by heart ("hello little mouse what are you doing?"). Omgosh! Love this book so much. Was my son's absolute favorite when he was 1-3 years old. I personally really enjoyed reading this book because of the fun mysterious storyline. The narrator’s voice makes this book quite interesting and engaging. I really liked the illustrations in the book. I think that they would be really good to use with children in year one or reception where they would have to order the pictures. The pictures are really vivid and colourful. The only negative that I have about this book is the fact that there really isn’t a big hungry bear and I feel that childre I personally really enjoyed reading this book because of the fun mysterious storyline. The narrator’s voice makes this book quite interesting and engaging. I really liked the illustrations in the book. I think that they would be really good to use with children in year one or reception where they would have to order the pictures. The pictures are really vivid and colourful. The only negative that I have about this book is the fact that there really isn’t a big hungry bear and I feel that children of this age bracket would find difficult to understand. I have read this book to year one children, whereby I took on the role of the narrator. I also played the video clip of this story for the children just so that they could hear the narrators voice more clearly, I have to admit that a lot of the children were confused because they thought it was the bear who was talking to them. Having that said it is a book which does not have an ending a so maybe the children’s opinion may just be the right one. I just didn’t like how there was no definite answer for them. However, I really did feel that the children loved this book, especially the “SNIFF SNIFF SNIFF” AND “ BOOM BOOM BOOM”. Sean has taken a new liking to a book he's had for a while, The Little Mouse, the Red Ripe Strawberry, and the Big Hungry Bear. We had to read it quite a few times last night. Fortunately it's rather short. I think he likes the threat of the bear and the deep booming voice Ian uses when the narrator is describing the bear. I checked this out of the library right after reading Heather's review about it. My daughter received this book for her birthday last week and absolutely loves it. 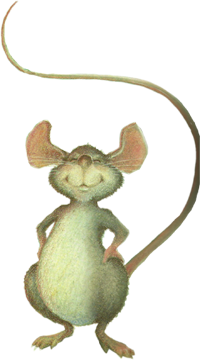 The story is told as if the reader is talking directly to the mouse in the story. I also love that it's a book I don't mind reading over and over since that's often what my daughter wants. One of our all time favorite books for sure ! We love the simple cute story and the wonderful illustrations! Truly a book to be read and admired over and over again - no matter how old you are! OML THIS BOOK SCARED ME WHEN I WAS LITTLE BUT I STILL LOVED IT??????? Another book I love to read to my kids. I need a new copy because the one I have is falling apart. Summary: The story begins with a little mouse who wants to pick a strawberry but the narrator tells him bears love strawberries. The mouse goes through a panic to figure out how to hide it from the bear. In the end the mouse and narrator split the strawberry and eat it and the bear never shows up. Reflection: LOVE IT!!! The suspense in the story is great. The pictures show a high level of emotion. I just love this story! Use in Class: This story is just a good read. The emotions in the pictures ar Summary: The story begins with a little mouse who wants to pick a strawberry but the narrator tells him bears love strawberries. The mouse goes through a panic to figure out how to hide it from the bear. In the end the mouse and narrator split the strawberry and eat it and the bear never shows up. A fun story and beautiful illustrations. One thing I love about exploring children's lit is when I come across a book I completely forgot existed but loved as a child. This is one of those. Clever plot and cute ending. I thought the illustrations were great but the story without the illustrations was just OK and certainly not great. SO MUCH NOSTALGIA. This was one of my absolute favorites as a child and I had completely forgotten about it. I'm so pleased to have rediscovered it. The red ripe strawberry is the main reason I wanted to read this book! Oh my, a delicious story. Beautifully illustrated. I've read this book in storytimes several times now and it's always a hit. Once, after I'd read it at the beginning of a storytime, I had a little boy asking me to read it again throughout the rest of the storytime. Written and illustrated by Don and Audrey Wood this book is a preschool favorite. Little Mouse just wants to enjoy his strawberry, but what will he do when he finds out the big, hungry bear likes strawberries too? A fun read-aloud for the classroom, this book is easy for young children to memorize and retell.